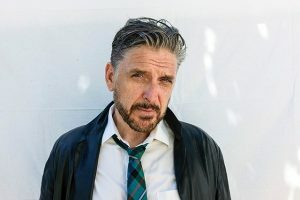 IN DETAIL: Be prepared to laugh until you cry when storyteller, comedian, actor and former host of The Late Late Show, Craig Ferguson entertains fans with a Q&A in The Cabaret Theatre moderated by best-selling author Adriana Trigiani. This unique Winning Authors event, in partnership with Bank Square Books, celebrates his latest book, Riding the Elephant, an irreverent, lyrical memoir. Participation is on a first-come, first-served basis. Tickets to event include entry and signed copy of book, which may be purchased in advance through Eventbrite. Must have a ticket to enter The Cabaret Theatre.